Disable SELinux and configure firewalld. 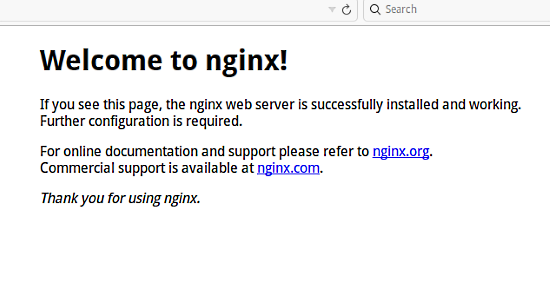 Instal and configure Nginx, MariaDB, php-fpm. Create a database and configure SSL. 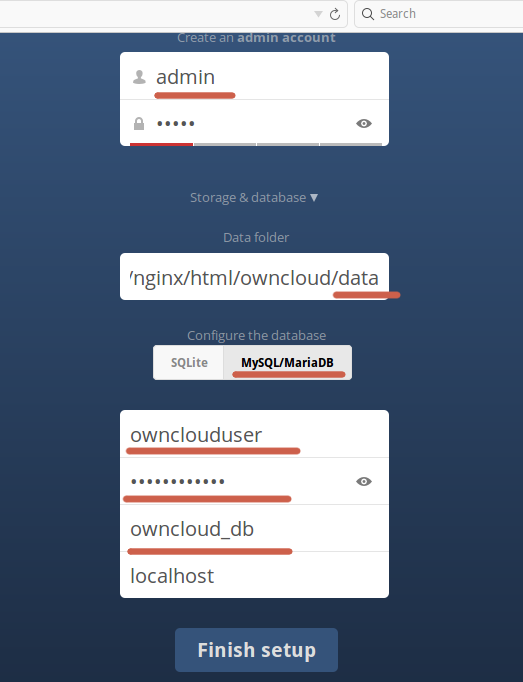 Configure a virtualhost for OwnCloud. Test OwnCloud in the browser. To disable SELinux, edit the file /etc/sysconfig/selinux, and change enforced to disabled. Run these commands to open port 80/http and 443/https in firewalld so that we can reach the OwnCloud interface by http and https later. These are the steps to setup the basic LEMP (Linux – Nginx – MariaDB – PHP) Server to run OwnCloud on. To install LEMP(Linux, Nginx, MariaDB and PHP) you must enable epel-repository. the first time you just press Enter. At this step you can visit your web server http://192.168.1.101/. the command will generate a owncloud.crt and owncloud.key in directory /etc/nginx/cert/. Download the application source with wget. Extract and move owncloud directory to /usr/share/nginx/html. Change the owner of owncloud directory to nginx. Create directory called data on owncloud directory, and change owner to nginx. The last step is to configure a virtualhost for owncloud. Now configure the LEMP Services to start on boot. http://192.168.1.101 and you will be redirect to ssl connection https://192.168.1.101. Create admin account and fill all Database(Username,Password,dbname) then click Finish Setup. OwnCloud is the right solution for a private cloud today. Easy to use and configure and with a userfriendly interface which makes it easy to use and install. Owncloud is fast, stable and has many features.